The rumor mill has not revealed much about the price tag of the HTC One M9. However, as a flagship device, the HTC One M9 UAE price is expected to be around $700, about 2600AED or SAR (~5200EGP) following their history. The HTC One M9 is expected to show up in March 2015. The HTC One M9 release date Dubai will be in March or April, 2015 once the device makes an appearance in March officially. One of the most anticipated phone of the year, the HTC One M9 is finally here. As we got tons of leaks and speculations earlier, there is not much left to the imagination as most of them are spot on. Keep reading to find out more about the HTC One M9 Dubai price, release date and if the HTC flagship smartphone managed to meet all your expectations or not. 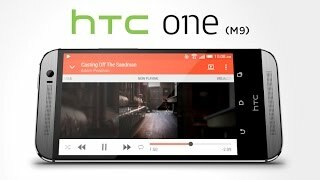 If you are familiar with the design of the HTC One M8, it will be difficult for you to find any difference between the predecessor and the successor which is the HTC One M9 at first. The front part looks quite similar with the BoomSound speaker placed in the same place and the brushed aluminum look. However, it’s slightly narrower than the HTC One M8 and looks quite sleek. Its 9.6mm thickness doesn’t make it much slim compared to most of the latest smartphones like the Samsung Galaxy S6 or Samsung Galaxy S6 Edge. It’s 144.6 x 69.7mm in dimensions and weighs 157g. For those who loved the design of the previous HTC flagship device can think about checking the HTC One M9 Dubai price. The HTC One M9 features a 5.0-inches Super LCD3 display just like its predecessor. There is no change in the resolution or pixel density either which means full HD (1920x1080) resolution and 441ppi of pixel density. It’s quite disappointing compared to other popular smartphones at the moment like the Samsung Galaxy Note 4 or iPhone 6 Plus which you can check out too. The display is protected by Corning Gorilla Glass 4 and the phone will be running Android Lollipop out of the box. To make sure users get a smooth, lag-free experience, the phone includes Qualcomm Snapdragon 810 processor accompanied by 3GB of RAM. If you are looking for a spec heavy smartphone, you can think about waiting for the HTC One M9 release date UAE. One of the notable changes in the HTC One M9 is its rear camera. People didn’t really like the dual 4MP UltraPixel camera so it has been replaced by a 20.7-megapixel camera this time. However, the front camera is now a 4-megapixel UltraPixel one which means better selfies. Just like the previous phone, the HTC One M9 includes Fast charging technology that allows you to charge 60% in just 30 minutes. The phone includes 32GB of internal storage and microSD card slot which supports expanding memory to up to 128GB. The battery is a 2840mAh Li-Po one and still non-removable. For those who want a phone with good camera, it will be a good idea to wait for the HTC One M9 release date UAE. You can also check out the Lenovo Vibe P1 Pro if you want a phone with big battery. Once the HTC One M9 is unveiled in the MWC event in March, it’s expected to show up in the market soon. 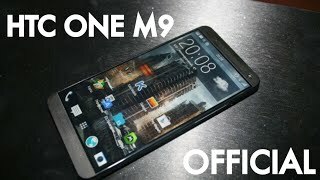 We are hoping to see the HTC One M9 release date UAE in sometimes March or April, 2015. It’s that time of the year when rumors and leaks about smartphones and tablet starts to appear online. Here, we have gathered some rumors about the next HTC flagship device, the HTC One M9. A China-based report recently revealed that HTC is planning to use a different model name for the upcoming HTC One M lineup. 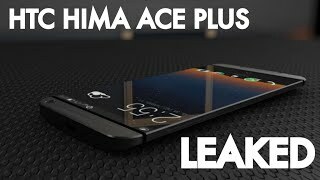 Rumor has it that the upcoming smartphone is codenamed as HTC Hima. Continue reading to learn more about the HTC One M9 Dubai price, release date and specs. According to some recent leaks and reports, HTC is planning to stick to the same 5-inch screen like they did with the HTC One M8. There is no change in the resolution as well which means it will be showing 1920 x 1080 pixels. It’s definitely surprising considering how the rival companies are going for bigger screen size with higher resolution. 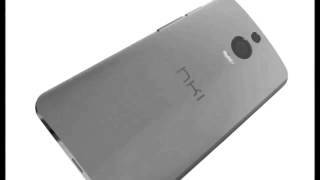 The leaks didn’t reveal much about the design, so we have to wait for the HTC One M9 release date UAE or official announcement to know more. The HTC One M8’s design managed to grab our attention with its really attractive metallic back, so we won’t be disappointed if the upcoming one shows up with a similar look. The HTC One M8 featured dual 4-megapixel rear camera with dual-LED flash which was slightly disappointing comparing to the other rival phones out there. However, HTC is planning to change that and replace the dual 4-megapixel camera with a 20.7-megapixel one in the upcoming flagship device. 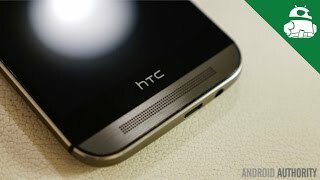 The front camera of the HTC One M8 was quite good which is expected to be replaced by a 13-megapixel or a 4-megapixel one with Ultrapixel technology. It will be interesting to see how the camera works comparing to its rivals when the HTC One M8 release date UAE becomes available. The phone is expected to sport an Octa-core processor, Qualcomm Snapdragon 810, four cores will be clocked at 2.0 and the remaining cores at 1.5GHz. To make sure users get to multitask on the HTC One M9 smoothly, the processor will be accompanied by 3GB of RAM. The phone will be running Android 5.0 Lollipop out-of-the-box with a mix of HTC Sense 7.0 UI. A 2,840mAh battery is expected to be packed to power up all these things in the upcoming HTC Hima. Once the HTC One M9 release date Dubai becomes available, it will be interesting to see how this battery handles day-to-day usage. That’s all we have learned about the HTC One M9 or HTC Hima so far. There is still a few months left from launch so make sure you take all these rumors with a grain of salt. 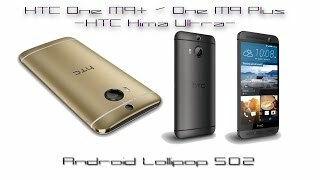 HTC One (M9) Hima - Rumor Round Up! 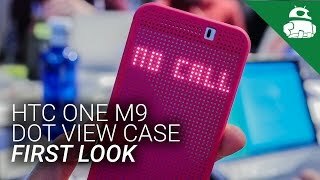 NEW HTC One M9 OFFICIAL Announcement! Price has decreased 81% from AED 1558 on 2016-01-14 to AED 290 today.